The first volume of R.E.M.’s “MTV Unplugged” collection is a perfect storm of both the band and the zeitgeist. In 1991, “Unplugged” was just starting to take off, thanks to the success of Paul McCartney’s official bootleg from his appearance on the show. The show was gaining a reputation for a place where classic rock artists could rekindle their audience by playing stripped-down versions of hits and a venue for newer, but still established, bands could expand their palette. “Out of Time” was also uniquely suited for “MTV Unplugged.” After building success with riff-heavy arena-ready songs like “The One I Love” and “Orange Crush,” the band decided to scale back. Mandolin, acoustic guitar and organ dominated songwriting process and, in turn, the final recordings. It seemed inevitable that R.E.M. would appear on the popular MTV show. The surprising part is that it took 23 years for the performance to see proper release. After surviving for nearly a generation as old, dubbed VHS copies and bootlegged CDs, R.E.M. “Unplugged” was finally released. It debuted in April as a Record Store Day Exclusive vinyl set paired with an encore 2001 “Unplugged” performance. Several months later, stand-alone editions of both shows were released in multiple formats. As a time capsule, “Unplugged” stands somewhere between essential and curiosity. The 17-song set is dominated by “Out of Time.” More than half the album is present, along with one outtake. As such, the album does a great job fleshing out this under-recorded era. 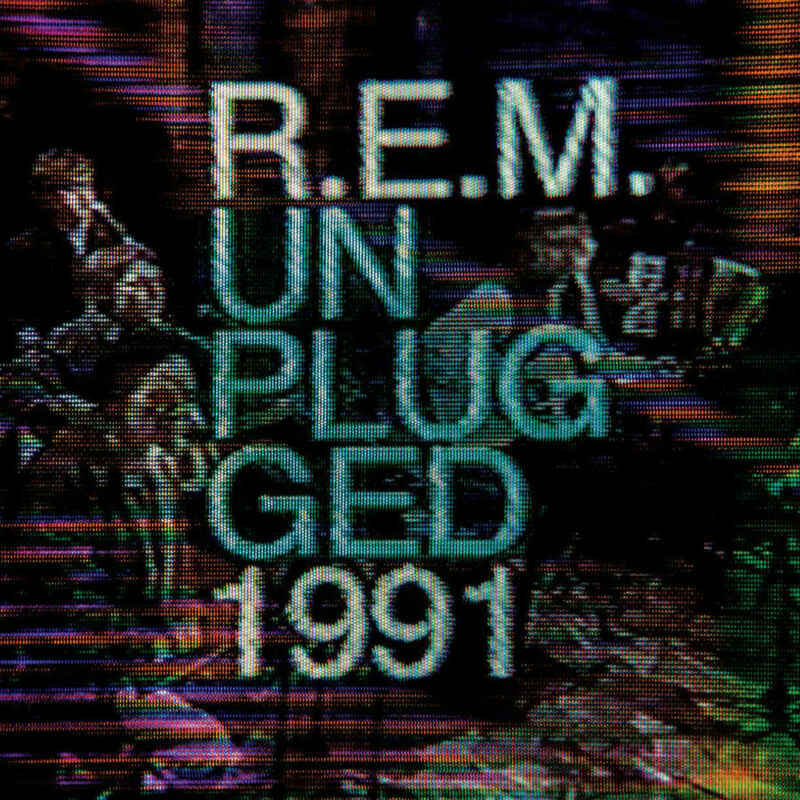 Because the band abandoned touring and focused on television appearances and music videos, “Unplugged” stands as one of R.E.M.’s longest sets of the early ‘90s. That said, most of the arrangements stick pretty close to the album versions so there aren’t any big revelations present. The best songs include a jangly, sing-along version of “End of the World” and an energetic reading of “Radio Song” sans KRS-One that leans heavily on guest Peter Holsapple’s organ. A low-key, less urgent “Disturbance at the Heron House” is a rare revision of an electric number and makes me wish the band had tried a few more (“These Days” and “Driver 8” spring to mind). Five bonus tracks that never made it to air follow the full broadcast performance. Driven by Bill Berry’s congas, “Get Up” takes on a new life. “Swan Swan H” and “World Leader Pretend” mirror their album counterparts. “Fretless” represents the one song that doesn’t work unplugged. The studio version of this “Out of Time” outtake foreshadows the direction the band would take on “Automatic for the People.” Robbed of electricity, it lacks the sense of suspicion and dread that fuels the track. R.E.M. did themselves a disservice by waiting so long to release this set. It undoubtedly would have sold better 20 years ago when the band was at its peak and fans were anxious for new material. While die-hards and completists have owned this performance for years, the improved sound and bonus tracks make it a worthwhile addition to the catalog. Ultimately, “Unplugged 1991” is a nice complement to a band working at peak convergence of popularity and artistry. Disclaimer: The Daily Record was sent a complementary review copy of “Unplugged 1991” from Soundstagedirect.com in exchange for promoting the site. Readers may purchase this album, or any other, with a 10 percent discount using code KWS10. Soundstagedirect.com is not the only online retailer carrying this title.